"Your strong desire to serve me is very beautiful; your serving me means serving Krishna. I am also your servant so I cannot accept your service from you, or from any of my disciples. I accept service from my disciples on behalf of Krishna. Just like a tax collector must collect for the treasury, not for himself. If he himself touches so much as a farthing it would be unlawful. So I have no right to accept service from any disciple, but on behalf of Krishna I can accept. Sincere service to the Spiritual Master is service to the Supreme Lord. As stated in the prayer, "Prasadad Bhagavat Prasadad''. 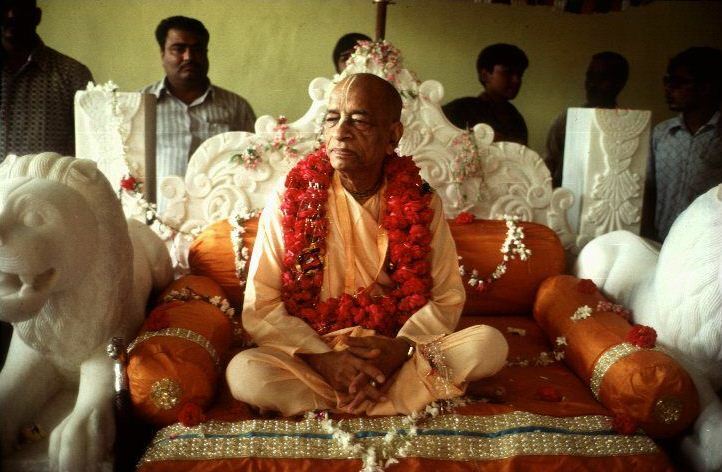 That means because Krishna accepts service through the via media of Spiritual Master, therefore pleasing the Spiritual Master is equal to pleasing the Supreme Lord."